http://maientertainmentlaw.com/?search=adverse-side-effects-of-accutane Pony Party, Game On!! generic lasix uses gouty arthritis This is the BIG story in the Bay Area tonight. 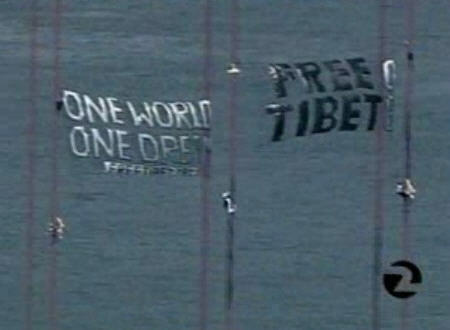 These 3 people on the bridge were truly brave souls and after 3 hours flying their banners and Tibetan flags, they were taken into custody and booked for felony conspiracy. The city of San Francisco is ‘bracing for uproar’, iow where to buy levitra on line shitting bricks, about what to do with the Olympic torch relay on Wednesday. After London and Paris I can only imagine what will happen here. Tensions have been building for weeks now. go I am taking my late-70s parents, visiting from the midwest, to the Olympic torch run tomorrow. I think this will be very eye-opening for them. I hope it will be peaceful – but you never know. I will try to keep them out of trouble. Will post a report when I get a chance (they are here all week). 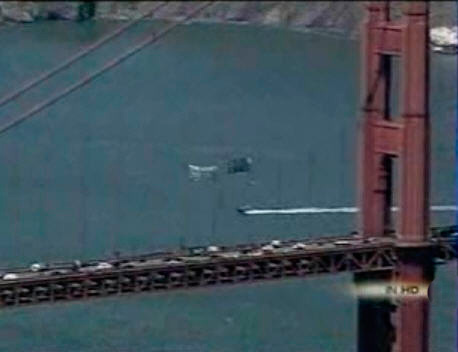 source Perfect stage – the Golden Gate bridge. Eiffel Tower yesterday. This will be Loss of Face Week for China world-wide. It’s exactly what they don’t want. I see Clinton has asked Bush to boycott the opening ceremonies. Yeah, like that will happen. The son of the first U.S. ambassador to the PRC is going to skip out? Besides, China owns us. He has to go along. Wish I could be there. I wish they’d run it through Boston so I could join in. BTW, I downloaded that new MS Silverlight against my better judgement. It’s actually very nice. I’ve got a 1920×1200 17″ laptop and the picture was excellent. Who knew? An MS v1.0 that actually works?
. . . for San Francisco to display free speech and American passion and intrepidness — in the face of a massive police presence — for all the world to see. Horrors. won’t be as intense as in London and France. The French have more practise at protest. They have these things called “unions” and the workers like to get pissed off regularly and shut things down to remind the overlords they still have a bit of a voice. don’t let Paris have all the glory! All they did was hang a banner. When I saw the pictures on TV yesterday, my heart soared. What they did was fabulous not a felony crime. This is just totally beautiful. Thanks for front paging it OTB. Hope I run into you and your parents tomorrow. I plan to stay close to the Ferry Bldg / Justin Herman Plaza!